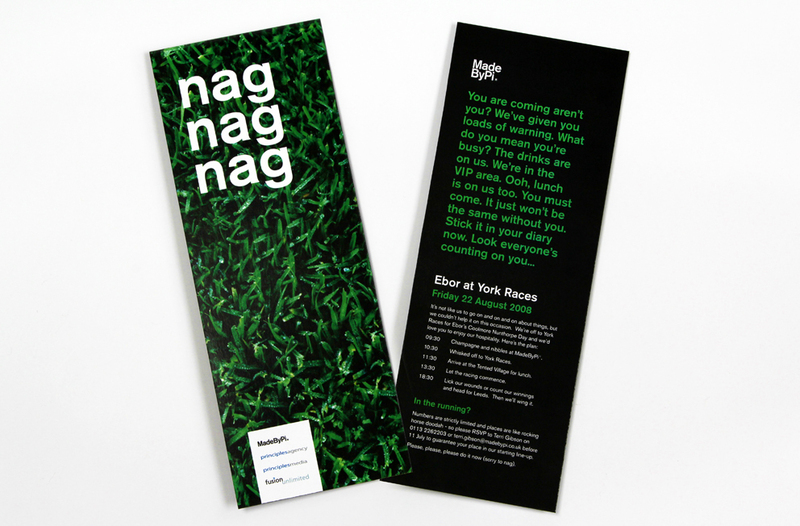 Ebor at York Races is a big thing in Yorkshire. If you’ve never been, you’ve never lived. So when working with MadeByPi, I was asked to create an invitation to their clients that needed to illicit a response as to whether the guest was attending or not. So I decided we’d nag them. It worked.